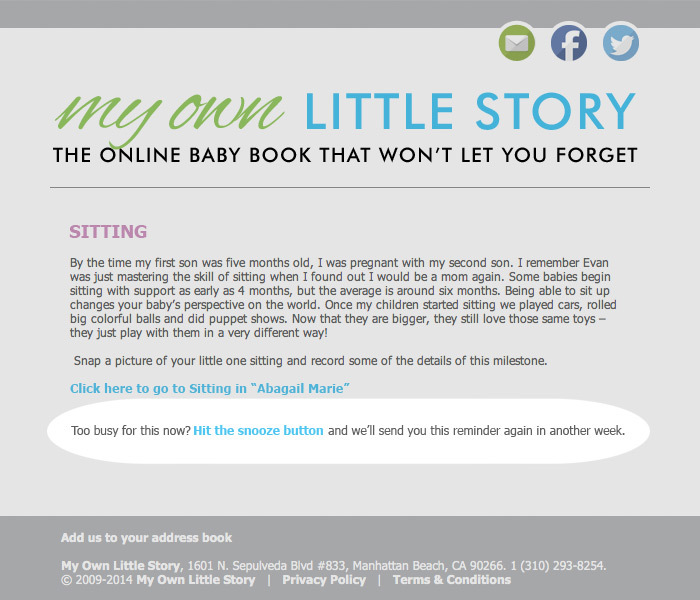 Our free email reminder system is designed with the busy parent in mind. 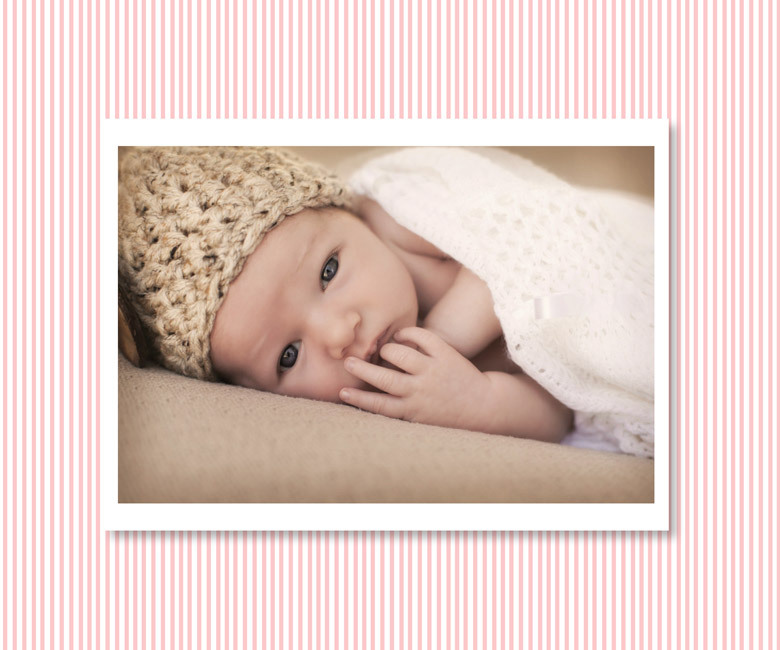 Once we have your child's birth date/due date we will start sending you timely emails (twice a month) that coincide with your child's development. 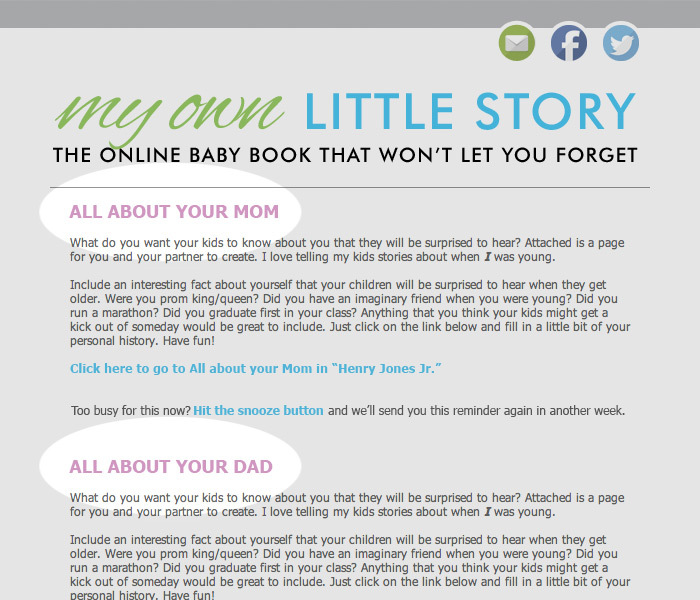 Our emails are brief, to the point and contain a link directly to your child's story. Just click the link and add your thoughts. See Samples for a few examples of Milestone Memory emails. 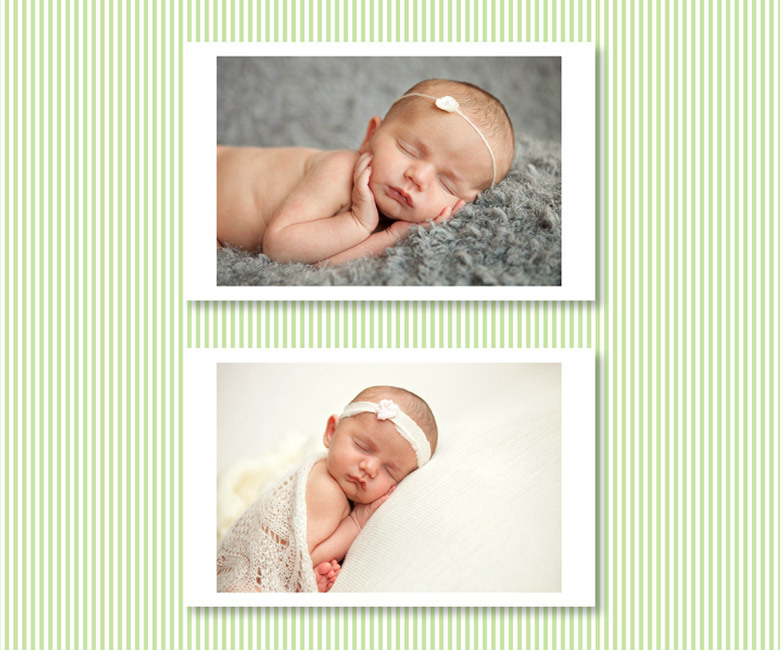 Flexibility is key when you are a parent; so, we designed our Milestone Memory System with a snooze button. 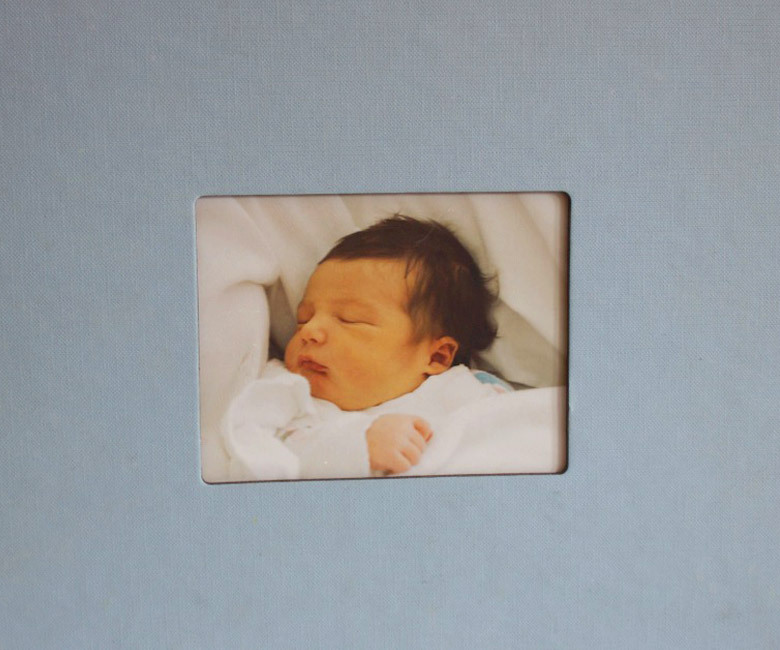 We know that timing is everything and each child develops differently. If you get an email and don't have time or your child hasn't reached that particular milestone just click the snooze button and we will remind you again in a week. For those users who prefer to answer our questions, we have created template pages with graphics and typical questions. Even though we ask several questions, you can skip a question or leave it blank, and it won't appear in your story. This makes My Own Little Story unique to each and every family and child. 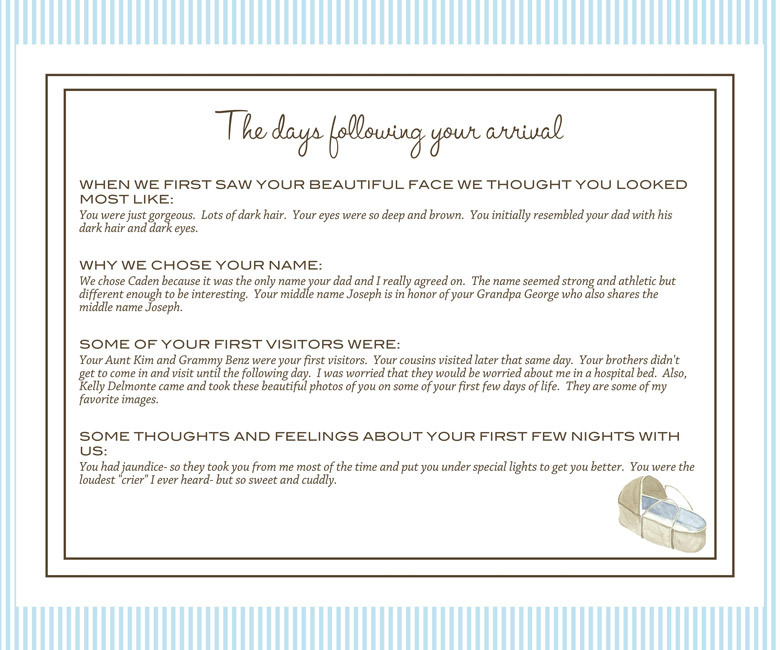 For those users who want to capture a special moment not included in our basic milestones, we offer a custom page feature. 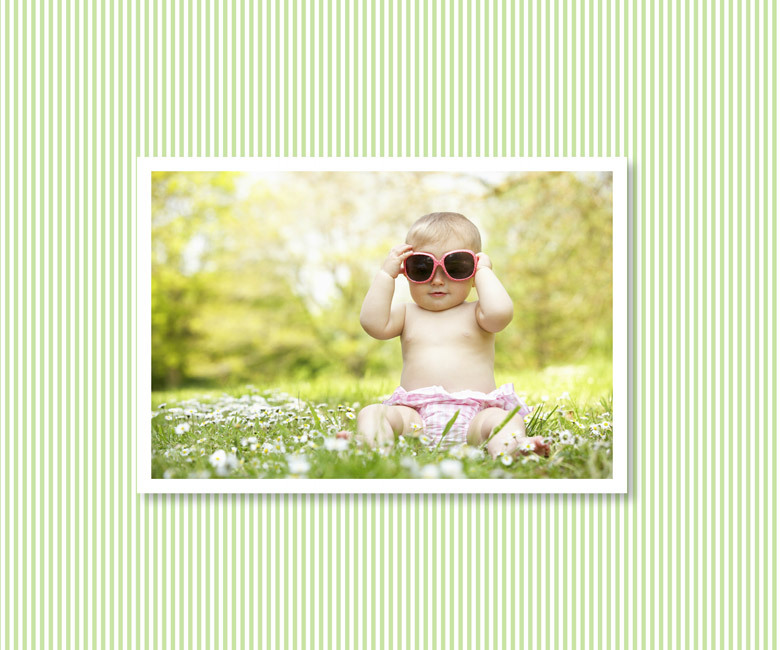 Add a page of text, pictures or both! 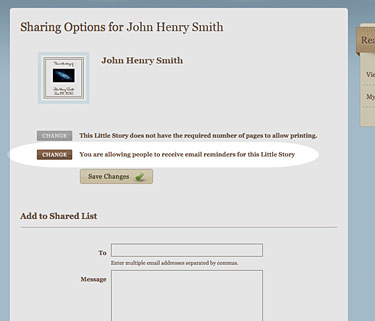 You can add as many custom pages as you like. 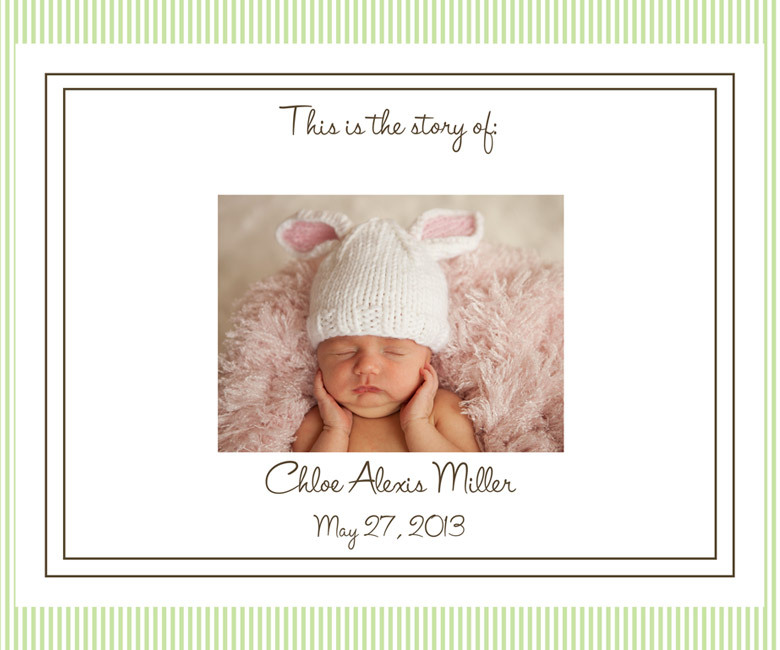 We know that a picture is worth a thousand words--so we have made it easy for you to upload photos to accompany the milestones you record. Whether your friends and family are near or far, it is easy to keep them up-to-date with My Own Little Story. 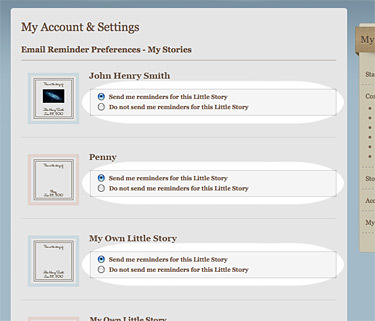 With the click of a button, you can enable your family and friends to read the latest updates of your child's story. Our illustrator, Devon Galusha, created original watercolor images for My Own Little Story. The overall look of the book is simple and timeless--made to enjoy for generations to come. 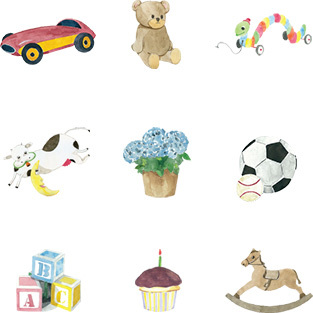 See Samples to view a few of our hand-painted graphics. Optional. 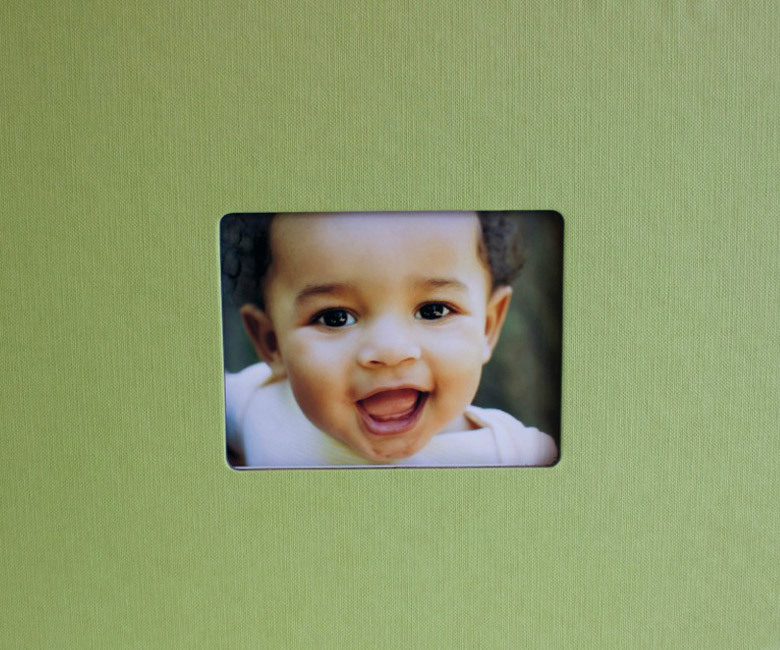 Once you have at least 10 printable pages, you can order a printed hard cover, professionally-bound story. See Pricing for more details. 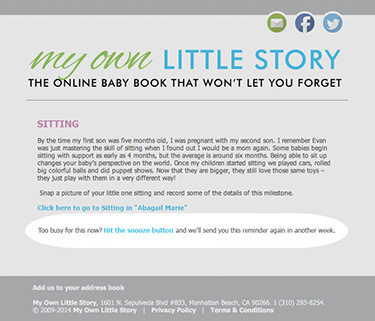 Once we have your child's birth date/due date we will start sending you timely emails (twice a month) that coincide with your child's development. 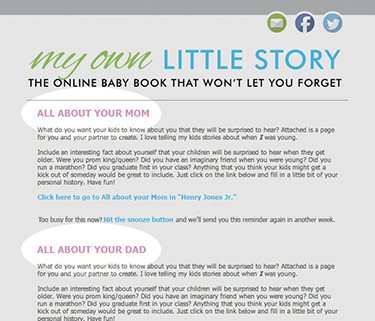 Our emails are brief, to the point and contain a link directly to your child's story. Just click the link and add your thoughts. If you get an email and don't have time or your child hasn't reached that particular milestone just click the snooze button and we will remind you again in a weekd. 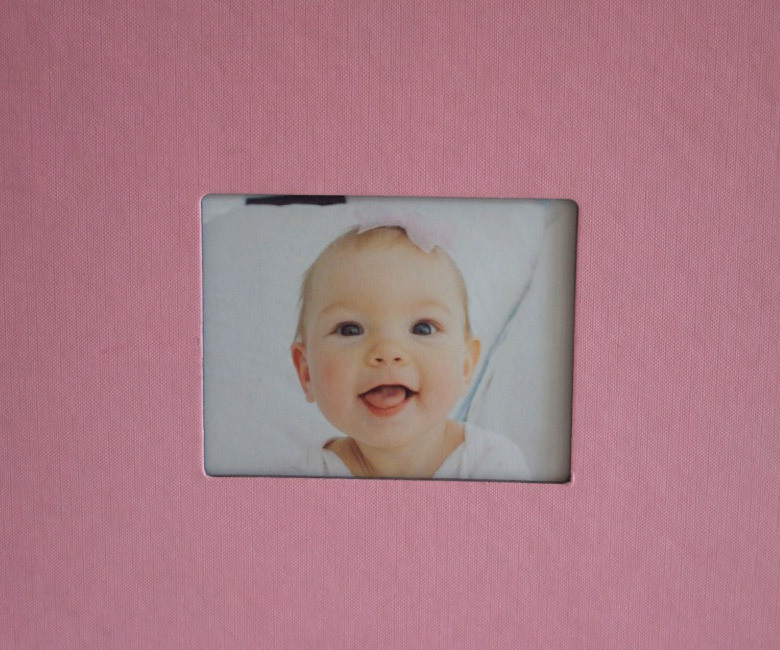 Plus holiday and "landmark" milestones, and you can choose to add as many photo pages or even blank pages as you like!